**Backpack received for consideration. All thoughts are 100% my own. Hi-ho! Hi-ho! It's back to school we go! Have your kids returned to school yet? The schools in our area start super early so my son has been back for awhile, but every day I see more and more of my friends' children as they head off on the first day of school. I love seeing all of their back to school pictures and the outfits they've chosen to wear. It's fun to see their personality shining through. Have Fun with Shoes/Laces. If the school doesn't have strict shoe guidelines, look for bold colors and prints. Mix it up with funky laces too. Colorful Socks. Even if they're hidden under uniform pants, at least they will know! Have Fun With Hair. Use fun hair accessories or a cool hairstyle. Maybe even a little bit of temporary color. School Supply Fun. Binders, folders, pencils and more... if you cannot stray from uniform at least your supplies can show your fun side! Get a Fun Backpack. Perhaps one of the best ways to truly show of your child's personality and style despite a school uniform with with a great backpack! This is something your child will carry with them every single day, and something most schools aren't as picky about style wise. And truly there are styles out there to suit EVERY child's personalities and interests. The Obersee Kids Pre-School All-In-One Backpack with Cooler is the perfect solution for active kids. The front pocket of the backpack is an insulated lunch cooler, so kids no longer have to tote an additional lunch bag! For ultimate comfort, the back features a padded breathable mesh lumbar section and the straps are constructed with the same padded breathable mesh. Such mesh helps to keep your child comfortable and cool. Additionally, the backpack measures 10 in x 14.5 in x 5.5 in and is large enough to fit a standard size school folder. The interior of the main compartment features an organizer with pockets for supplies and slots for pen and pencil storage. The front of the backpack also features a pocket for easy to access storage. Drinks can be easily stored in the side drink pocket. Finally, the Obersee kids backpacks all feature funky designs, cool colors and an overall sleek shape so your child will always be looking great! 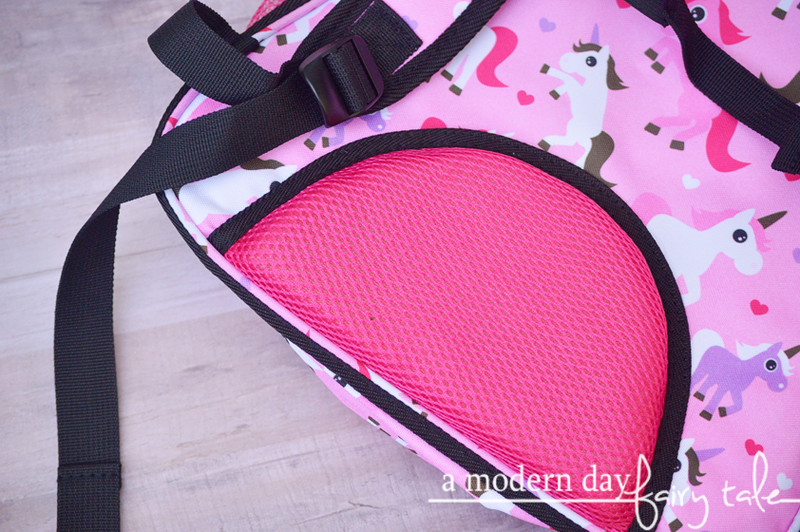 For this review, my daughter was sent the Unicorn print backpack. Let me tell you--- it was love! My daughter loves all things unicorn and pink is her favorite color, so needless to say it was truly the perfect backpack for her. At 4 years old, it was the perfect size for her now with room to grow over the next few years too. We've also had other preschool size backpacks that couldn't even hold a folder and really almost seemed more for looks than anything else- this one will hold everything your young elementary student will need. Including their lunch! I cannot tell you how many lunchboxes we have gone through with my son. It seems he was ALWAYS leaving them behind at school. Most would eventually find their way home, but there'd be weeks where every single one was nowhere to be found. Needless to say, I really like this feature! I can put her lunches directly in the cooler section and KNOW that she's not going to leave it behind. I only wished I'd discovered these sooner. Toss in all the added comfort features like lumbar padding and comfortable straps (which hook in the front to help keep the backpack in place comfortably)... well, you might just find yourself wishing it was adult size! While we loved the fun unicorn design, they truly do offer a little something for every style- space, transportation, robots, dinos, butterflies...you name it! I love the Unicorn and Panda prints!!! Great looking bags! Love the designs of these backpacks and that they include a cooler. My favorite is the OBERSEE KIDS PRE-SCHOOL ALL-IN-ONE BACKPACK WITH COOLER - ANGEL WINGS. Thanks. Such cute bags, if I won I would give it to my nephew who will be starting preschool soon. I love this back pack so much!! My daughters would love the unicorns!! I love that the front of this backpack has an insulated cooler for lunch and a side pocket for drinks. The design is perfect for my unicorn lover granddaughter. 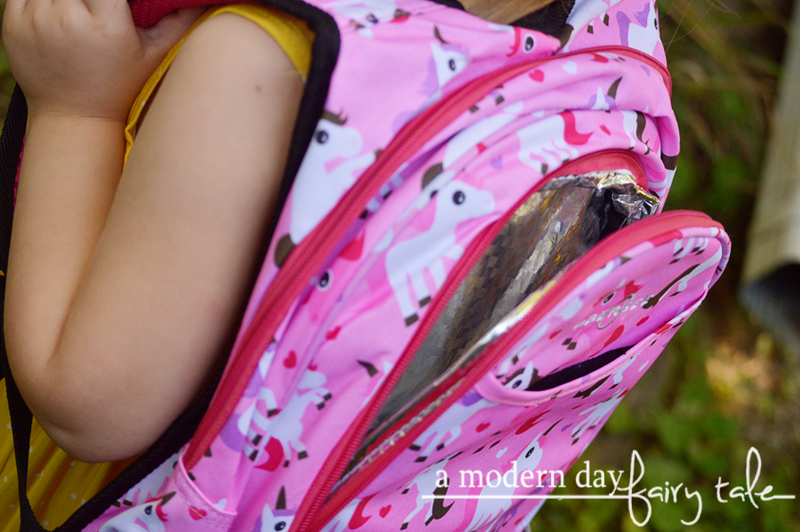 A great brand to learn about, they've got the cutest little backpacks I've ever seen! !